Superman, Where Are You Now? With all the news about Paris, all the social media awareness and displays of support, we all are unified by our disdain for the loss of human lives and our repulsion toward the cowards who think, who arrogantly assume, that God is honored by their hate and murder. I feel foolish, then, given the gravity of the situation, when my mind goes back to the movie Superman II. In it, terrorists take hostages in Paris for their cause of some such demands, and they threaten to level the city with a hydrogen bomb hidden in the Eiffel Tower. Lois Lane, ever on the prowl for a scoop, finds herself in the middle of the drama and Superman, as he is wont to do, shows up and saves the day. Here are the highlights in case you missed it. Back in real life, it’s difficult to be suddenly reminded that there are no super heroes. No one can fly in and save the day, at least not in the way we dream about. We are thankful for the police, fire fighters, and other emergency personnel who risk their lives to save others, but in my mind I wish all it took to make our cities safe was to light up the Bat-Signal. We commend the soldiers who protect the safety of their nation and who fight a battle on foreign soil, trying to choke out terror in its hive, but sometimes it would be nice to see justice delivered faster than a speeding bullet. We are thankful for the voices of sympathy and support that come from every corner of the world during seasons like this, but sometimes I fear gestures of support aren’t enough. There is only one super man, that is the man Jesus Christ. There is only one Prince of Peace, and He is the one who shows His love in such a way the He died for both His friends and His enemies. In these times, I am thankful for God’s grace, for His justice, and for how He created US, you and me, to be the arms of His love. Let us love and pray for the innocent, the wounded, the frightened. But let us also do what no one other than Jesus can do… let us pray for those with blood on their hands. Let us pray that God would forgive them, to help them, somehow, be free of the hate, of their blindness, of the twisted awful system that creates and celebrates monsters. It is a long shot, and I admit it might never change them… but I suspect it might change us. That’s something even Superman couldn’t do. The Nerd of God.cast is excited to officially announce that I (@ItsMeTonyT) will be speaking at Megacon Fan Days in Orlando, FL this year. In cooperation with Wasabi Anime, I will be sharing on the topic Religion in Anime, or as I call it, The Gospel According to Neon Genesis Evangelion. I’d love to see some of the NOGSquad come out to support, as well as to meet some of us. I might even have some giveaway stuff! My panel will be held on Saturday November 21st at 2:30pm. Pray that God uses this opportunity in a big way! The next new voice you hear on the Nerd of God.cast might be your own! Starting with Episode 8 we will begin a new segment where we can read listener mail, answer questions and even have conversations in real time with you, the amazing Nerd of God Squad. You can email in questions and comments to NerdOfGodcast@gmail.com, watch as we Periscope, or respond to our prompt on Facebook or Twitter. We want to hear from YOU! It’s time to go back into the madness with our dear old friend Alice on another adventure with what are sure to be weird, flamboyant characters in a perplexing and wonderful world. Is anyone really excited about this sequel? Or does it seem unnecessary to you? Let us know in the comments below. 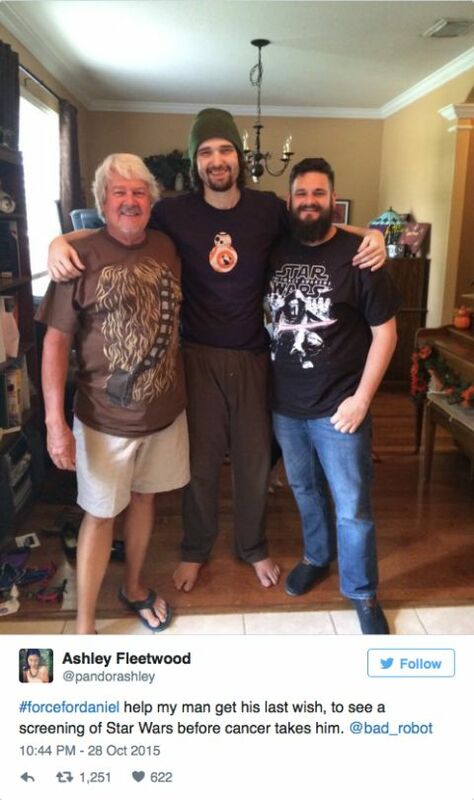 If you’ve been anywhere near the internet over the past few days, it’s more than slightly likely that you’ve heard mention of Daniel Fleetwood, the terminal cancer patient who’s dying wish was to see the new Star Wars Episode VII. Fans and well-wishers rallied around the cause, with #ForceForDaniel making national news and even getting support from many stars of the films, including Mark Hamill. Today, he got his wish. I only mention Daniel’s story to illustrate this thought; if I only had two months to live, what is it that I would hope to accomplish, what would I desire most to see come to pass? There is nothing like staring down one’s own mortality to highlight what is truly the most precious thing in one’s life. The Bible talks about choosing wisely whom it is that we will serve, and that where we find our treasure is where our hearts will be also. We also see clearly that the things of this world are temporary, fading away in the light of eternity. I know that I’m a fan of so many movies, games, comics and shows, but I think (or should I say, hope) that given a shortened shelf-life I might re-prioritize things a bit. However, if that’s the case, and if tomorrow isn’t promised to Daniel or any of us, why do we find it so easy right now, as we are, to commit so much of our time to things that have little to no eternal impact. I am certainly not advocating abandoning your passions and your favorite things, but I do encourage you to make sure that your life is producing fruit, that it has significance of an eternal value. Spend time with your family. Serve others with Christ-like grace. Forgive those who have hurt you. Impact a life with the good news of God’s love. Live like there’s no tomorrow, and make the best of today… and may the force be with you. Always. 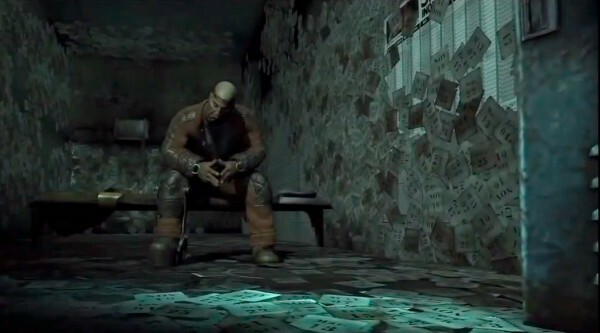 In the video game Batman: Arkham City if you venture below the Courthouse, you can talk to an obscure Gotham rogue named Calendar Man who is locked up in a cell in the basement. The observant gamer will notice a calendar on the wall next to his cell with 12 days circled. If you play the game on those days in real life, then talk to Calendar Man on each of them, he will tell you a story about a crime he committed on that day. The corresponding month will also be crossed off the calendar. If you play the game on each of those 12 days for a year, you will unlock a trophy (or an achievement) for it. Day and night God desires us to seek Him. Let us set our calendar for our daily date with Jesus… and NOW you’re playing with power!